Hidden Inheritance is Heidi B. Neumark's journey of discovery after she discovers a puzzle in her history. 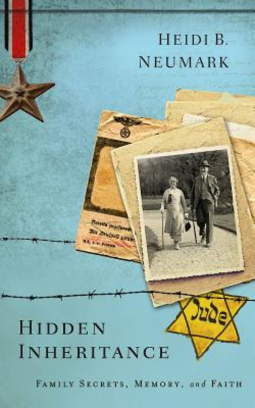 Neumark, a Lutheran pastor, finds out that her father was Jewish, and though they were close, that fact was a tragic disconnect, a secret he'd kept from her. Her daughter's discovery (on Wikipedia) starts her on a journey of a combined exploration of history and personal philosophy with the assistance of experts, historians, survivors, and academics. She travels to Germany where in Wittmund and Lubeck, she learns how her grandfather lost his business and died in a concentration camp after sending his son—her father--to the US. She wonders many things, like how her own faith might have grown innately from a part of her history she'd never known, as if religious feelings were coded in her DNA. The discovery does not turn her from her Lutheran faith, but does cause her to re-examine everything in detail, including developing insight about her eccentric Aunt Lore. The history is interesting, and the perspective is unusual. Neumark remembers being a teenager considering her German heritage, never guessing that her lineage is Jewish, putting her family tree on the opposite side of the fence from where she thought she was. Because she is a preacher, it isn't unexpected that her self-examination begins to feel very preachy, as, among other things, she tries to apply her secrets, persecution, and prejudice to relate to her work helping contemporary LGBT youth. The holocaust destroyed many lives, and many of its survivors' lives were irrevocably damaged as a result. Perhaps Neumark was seeking answers and a way to cope with damage she'd never known extended into her own family. I admire Heidi Neumark's bravery in such a public examination of her family's deeply buried secrets, but do be forewarned that the spiritual navel-gazing begins to feel preachy. 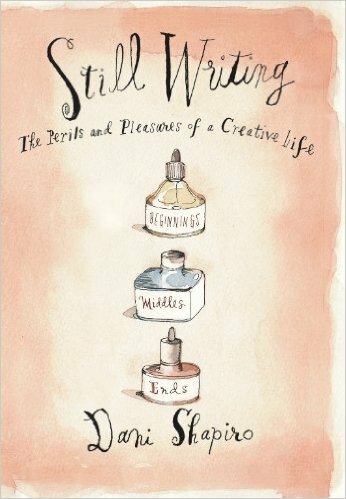 Dani Shapiro's Still Writing-The Perils and Pleasures of a Creative Life is a book of short memoirs and essays that speak to the heart of the writing life. For writers, writing is not an act, but a vehicle that takes us to another place. If you will pardon the clumsy comparison, I would say that you could think of each of the essays in this book as being a separate vehicle that makes up the writer's train that is Dani Shapiro. I found the book not unlike other author's essays, like Natalie Goldberg's Writing Down the Bones, another book that gets you to that writing mindset. Shapiro considers things that are the at the center of writing like escape, obsession, fear, scars, spying, our inner censor. Each of the essays is presented personally, without condescension, from the perspective inside that deep well within. This is the kind of book I never read at one sitting, but instead nibble each essay one at a time, for inspiration. It's like the "each one teach one" philosophy. Read one, write one. Shapiro's creative life is a wrestling melee of career, craft, practice, and life, flavored by doubt and demand and is as seasoned with pragmatic suggestions as it is a lilting voice. I enjoyed her insights, but even more than that, I recognize them. I fully expect to approach this book again at different times, and think that I will continue to find new insights and echoes that speak to me. 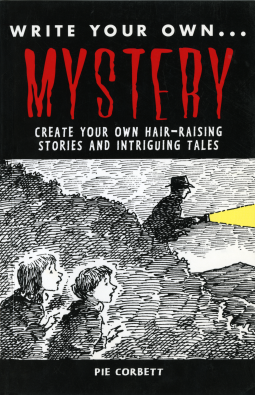 Write Your Own Mystery: Create Your Own Hair-Raising Stories and Intriguing Tales by Pie Corbett is a writing book geared to the juvenile audience. It is a short, charmingly presented beginner's book on how to write a mystery. 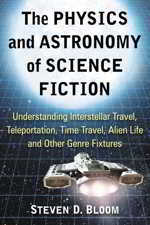 Chapter headings include subject areas such as: Puzzling plots; Writers at work creating your own mystery; Tricks of the Trade; Map out your mystery; Editing and Publishing; and includes a glossary and index. The illustrations are child-like and charming. For an adult, this is a quick read. The book is interactive in that there are tips, and problems presented which are designed to engage the young reader, and help them create their own original work. Because it is simplified for the young reader (8-12), it is not really appropriate for an adult looking for a writing resource. Also, the book is quite short, only 48 pages. It would be useful in a creative writing classroom, or even as part of a grammar course, because it does deal with the introduction of grammatical and writerly issues, like metaphors, sentence structure, and clauses, and other writing related forms. I found the glossary and index to be useful. I noticed the author also has written similar books entitled respectively How to write your own "Chiller" and "Thriller." I do not know how these (much cheaper) volumes compare to this one. I would recommend this book for anyone who is homeschooling a child around the age of eight, as a way to introduce creative writing in an entertaining way, or perhaps as a fun summer project for rainy days, to help keep skills alive during a summer vacation. Some years ago, I was in a writing group. It was a fantastic experience, and one that exposed me to a number of like-minded authors who quickly became close friends based on our common interest. Within that group, I became especially close to a smaller group; and even closer to a select few. These relationships lasted a couple of years, but then the course of our group interaction was interrupted by group politics. I found that I had been negatively influenced by these politics and policies. I had even become unconsciously a tool of those policies, and consequently left the group. I resolved at that time not to again become influenced by the manipulations—intended or not— of group politics. So now I look first before I join; and if I do join a group, I watch the boundary between gossip and sharing information and between the mechanisms of inclusion and exclusion. In these days, shifting social relationships and trends float on a societal level in contemporary media on internet mechanisms such as Twitter, Facebook, Linked-in, Pinterest, and all of the emerging technologies on which authors develop their platforms. It makes sense to be aware. 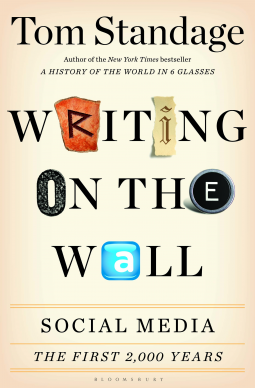 Writing on the Wall: Social Media - The First 2,000 Years by Tom Standage has an ambitious title. 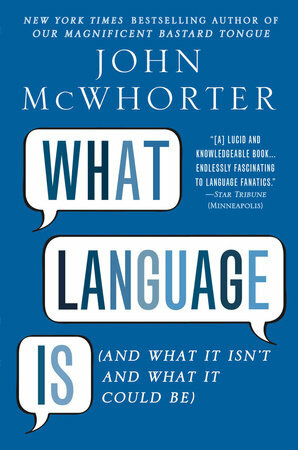 The book explores the history of communication from the first days when it was perceived that literacy was power, and draws parallels between current media, and all the forms of media going back through history. What is interesting is how today's digital age reflects constructs through history, in all its possible dimensions. The mechanisms, flow, floating and changing allegiances within today's media are not new; and Tom Standage's book connects the dots. It also provides plenty to think about regarding a historical perspective of freedom of speech. I would recommend this book to anyone interested in the history of communication, as well as anyone who does not want to under or over-estimate, or be blindsided by the power and influence of (current) media in all its forms. Writing on the Wall is useful beyond its theoretical basis to anyone who wishes to be knowledgeable about the influence and drawbacks of new technologies. Ironically, Plato's arguments regarding oral vs literary culture apply to argumens involving the hazards of the internet today where "writing seen as a threat to the spoken word" parallels fears of internet communications replacing or displacing the spoken word in the face to face relationship. Distant God. Why he feels far away...and what can we do about it. Distant God:Why he feels far away … and what can we do about it. While the season of Lent is over and Easter has begun, there is no reason to skip this book. For those of us who follow the Christian way of life, being close to God is paramount to Spiritual well being. But lets be honest, there are many reasons God might feel far away. Some people have stopped attending Church because of the distance, or still attend but find the whole thing less than useless. What is wrong with us?This book explores the many reasons we can feel this way and what to do about it. First off, there is hope. Second, faith and actions should not depend on just our emotional sense of God’s nearness. Author Chris Nye gives some wonderful examples. Starting off with The Longing to be Near and ending with The Promise. Along the way you will learn the many ways to gauge your travels with God and also how you can overcome or make a turnabout in your life long relations with our Creator. Regardless of where you are in your walk, or the time of year, this book I found to be very helpful in my own walk. I learned to gauge where I am not just by my emotions (which can be misleading) and also how to handle the sometimes Religious high one can get after say a retreat and then the dumps which can happened when we get back to daily life and all its bumps and knock outs that can happened even to the most saintly of lives. I recommend this book to all who wish to stay on the path of righteousness and to also grow more in their walk in this bumpy ride we call life. 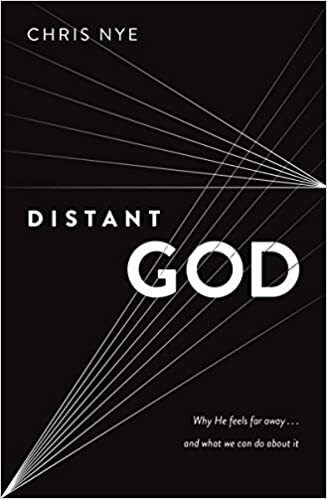 Read more about Distant God. Why he feels far away...and what can we do about it. Daily, we are all watching the caliber of the American Dream lessen, learning to hobble our dreams with lead shoes instead lifting them to the sky with wings. As our economy tanks, and politicians are only making it worse, people are losing their jobs, companies folding left and right, it is frightening to think that when these same things happened in Germany, it set the stage for Hitler's political party to launch a scapegoat campaign. How, we wonder, could people have let it happen? How is it possible for a society to turn on its own? It is just too awful to believe that mankind is capable of such inhumanity, that not only could it happen but that it did happen—a terrible facet of history that can not be swept under the rug. This history must be taught. We assure children that horror stories are not real. So how does one tell a child about the Holocaust? Perhaps it is best told by books like Eva Mozes Kor and Lisa Rojany Buccieri's Surviving the Angel of Death. It is autobiographical, Eva's own story about herself and her twin Miriam, about how they came from the small town of Protz Romania, to be subjected to the horrors of Dr. Joseph Mengele in Auschwitz. The Mozes were a farm family in their obscure little village, a family that had no reason to leave the safety of their comfortable farm until it was too late. In this book, we are able to wear Eva's shoes, and see firsthand what it was like for the twin sisters as society slowly turned against them, until the Nazi's finally came for them, relocated them in a Simleul Silvanei ghetto, put them in a cattle car, destroyed the rest of their family, and turned them over to the experimental ministrations of the Doctor of Death himself. The story is hard to take because of what it is. What stands out is the fortitude and strength, the drive to survive that got them through their impossible ordeal. And yet, the story is gently told, with understandable language and the simple perceptions of a ten year old child. It is paced in such a way that we understand why the Mozes stayed until it was too late, expressed in undramatic language. Where some words may be unfamiliar to the young reader, context clues and sometimes an appositive definition is seamlessly woven into the writing. There is no austere voice pontificating, no flag-waving, no patronization, and no condescension talking down to the young reader. There is simply the one-on-one storytelling, a matter of fact presentation of what happened. But what you will most take from this book is a sense of the fortitude of the human spirit in the face of the most ghastly circumstance. I could say it was a gripping, or touching or riveting, or tell you about how I read it in one sitting. Maybe it is more of a testament to this book that the night that I finished reading it, I dreamed I heard my long dead father's voice talking to me (as Eva dreamed her family spoke to her) from an inanimate object the size of a bar of soap. This matter-of-fact memoir written for the children's ear is a personal history because we so clearly hear the voice of the survivor. Thumbs may give us dexterity, and our mammal brains give us complex thoughts unavailable to the rest of the animal kingdom, but what truly makes us human is compassion—that trait of sympathy born of the ability to wear someone else's shoes. It is a good thing that there are books like Surviving the Angel of Death that enable us to embrace that compassion, and learn from survivors like Eva not only what lies in our history, but also what forgiveness is. I am assuming that many of us don't pay much attention to type fonts. I'm old enough to remember choosing an IBM Selectric typewriter because there were multiple fonts available, welded into little balls that you could snap in, so if you wanted, you could dash your pages off in ten or twelve pitch Courier, Bookface or Artisan. On the early Apple which only had one font, finding Bert Kersey's "beagle bros" fonts library—a program would allow you to change the fonts on your printouts with the addition of some simple html-like commands—was a gift from the font gods. In an early job of mine, preparing negatives to make offset masters for an ABDick 360 Printing press involved hours of typesetting with the dry transfer letters, painstakingly manipulated with red gum, grid paper and exacto knives. The year I had of graphic design did not touch on fonts at all. Simon Garfield's Just My Type picks up right where my graphic design classes should have. The book is not a dry history of type, but a popular history of fonts such as the much maligned "Comic Sans." (Everyone who uses/overuses/loves/hates Comic Sans should read Garlocks rendition of the tale of Vincent Connare, Microsoft and Microsoft Bob.) Garfield has written an interesting guide to fonts. It is both charming and fascinating, and full of tidbits which are "news" to us. Who knew, for example that authors of type become famous or infamous from their skill with type, just as Mozart is for his music, or Warhol, for his art? Just My Type touches on the stories behind type, exploring everything before Gutenberg's first fonts, well past Steve Job's now famous introduction to calligraphy at Reed College. Whether you're interested in serifs and san serifs, the Guardian's April Fools Day Independence of San SerriffeHoax, the creepy sexual experimentation of Eric Gill, the blink test, or IKEA's battle between Verdana and Futura, etc. there are dozens of stories here which are fascinating, and which you will probably recognize have brushed against your life without your realization. The book analyzes font examples from magazine covers, to advertisements, to television shows (like The Office) to album covers, and tells us why and how the fonts work, their purpose and how they affect us. Just My Type is a rich, readable design backstory behind type, a book which ought to be a must for any typographer's toolkit. And for non-typographers among us, after a little exploratory guided voyage touring in, through and about fonts let by Garfield's clever eye, we just might become a little more discerning, more informed and certainly more entertained typophiles in our own right.